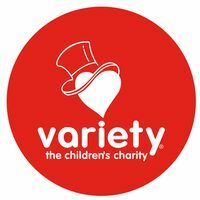 Variety – the Children’s Charity of Western Australia supports children and families who are facing many challenges through sickness, disadvantage, or living with a disability. Our work allows kids to gain mobility, to get out and about in the community, to communicate, achieve independence, and increase their self-esteem. We make sure the kids who miss out, can always join in.